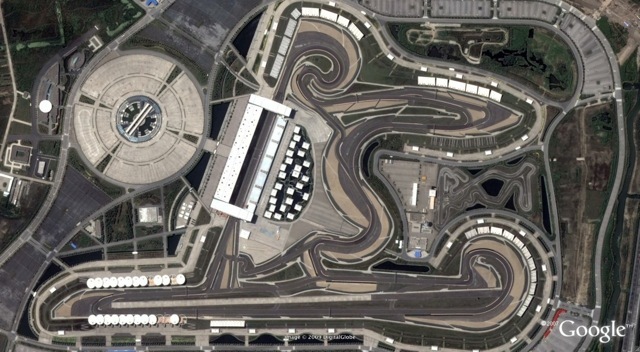 Shanghai International Circuit is the most expensive track to have been built, designed by Hermann Tilke and costing US$240 million. The opening sequence of corners are considered to among the trickiest in Formula One, with a fast entry into the first corner that continues to tighten before changing direction into the second and third corners. Interestingly, the circuit is built on a former swampland which undoubtedly contributed to the massive cost in building the complex. The layout is inspired by the Chinese character shang, the first character in the name of the city Shanghai and meaning ‘above’ or ‘ascend’. Despite being one of the most modern circuits on the calendar, the race is not particularly popular and officials have questioned the sustainability of the grand prix. 2013-10-10: Page updated to new design.